One of five departmental research interest groups, the Continental Philosophy Group works in the traditions of textual interpretation of human consciousness, phenomenology, and post-structuralist critical theory, among other related traditions of thought. The group welcomes Emilia Angelova, Associate Professor in the Department of Philosophy at Concordia University. 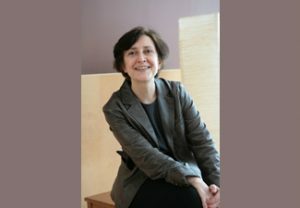 Prof. Angelova’s research is in 20th century continental philosophy, with a particular focus on Heidegger, Nancy, Derrida, and French feminist theory in relation to 19th century philosophy, specifically Kant and Hegel. Her interests involve themes such as temporality, selfhood, freedom, affect, gender and sexuality, and the imagination. Nancy argues that today philosophy needs to recommence from the “other” beginning, and against the “first” beginning. I argue that this requires an immanent critique that comes to concern itself: (a) with Heidegger and transporting of the “sovereign” into the “other” beginning, and (b) with “relation-world.” I first indicate how Nancy’s themes of creation, the other beginning, and the sovereign are linked to Heidegger, and constitute responses to the themes of “violence” e.g., the problem of metaphysics in Kant (and Hegel). I then show how Nancy’s non-hesitation about ipseity and the other beginning differentiates him from Derrida; and then show how Nancy’s position involves transporting the sovereign into the other beginning, again differentiating him from Derrida.